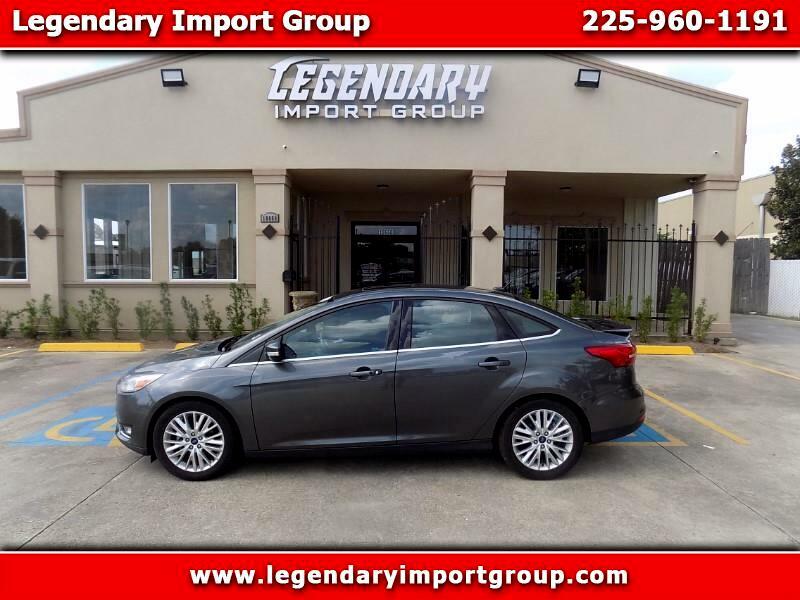 Legendary Import Group presents this CARFAX certified 1-Owner, no accidents 2017 Ford Focus Titanium. The 2017 Focus is powered by a 160-horsepower four-cylinder engine that delivers adequate acceleration. The 2017 Ford Focus sedan delivers 26 mpg in the city and 38 mpg on the highway with the dual-clutch automatic transmission. The 2017 Focus' standard features include two USB ports, a 4.2-inch infotainment display, a SYNC infotainment system, voice recognition, a four-speaker audio system, and Bluetooth. The Titanium model features satellite radio, a 10-speaker premium audio system, navigation, HD Radio, a SYNC 3 infotainment system with an 8-inch touch screen, remote start, and dual-zone automatic climate control.